"Mr. Springfield, the world's first and only superhuman, had lost control and was trying to dig his heels in to stop." Designer drugs offer up a new take on a centuries old addiction. Typically, drug addicts resort to drugs primarily for the altered state of mind they offer. 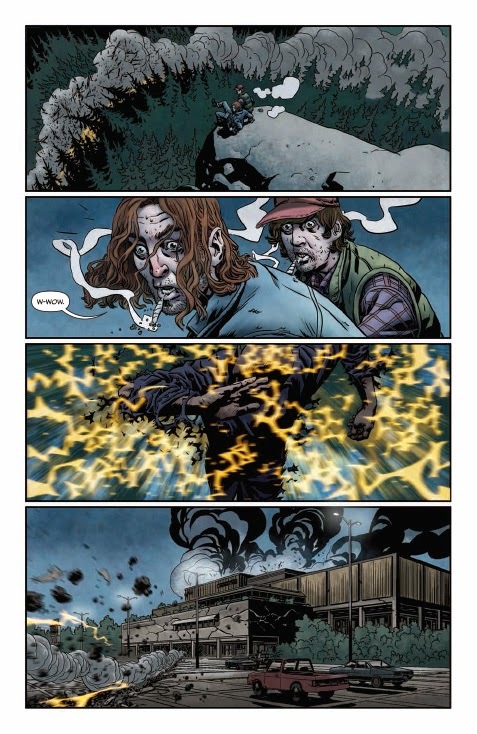 It's not often that a drug is taken to give someone superhuman capabilities, but that's just the case in MPH #1 from Image Comics. 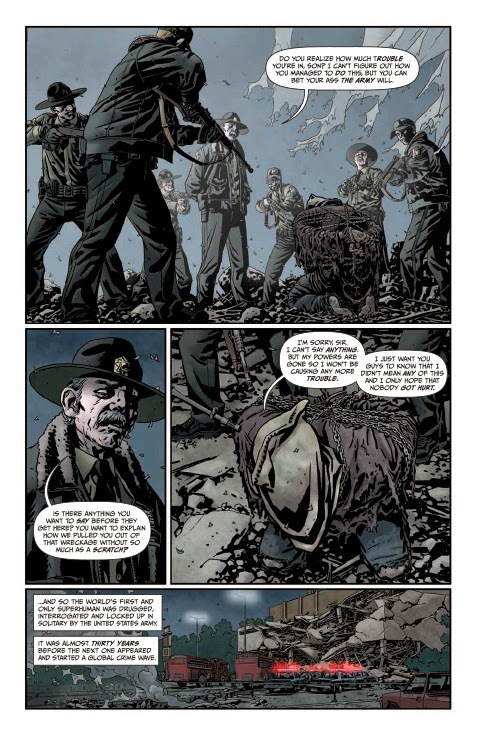 The issue is written by Mark Millar and illustrated Duncan Fegredo. When a group of hard-luck teens in Motor City stumble upon a street drug called MPH, they gain the power of super speed. Set against the backdrop of other drugs, money and criminal activities, one man named Roscoe is trying to get out of the business. Turns out though that there are authority types with different designs who send him to jail where he stumbles upon MPH, a drug that imbues those with super speed. From there, it's safe to say his life is forever changed. 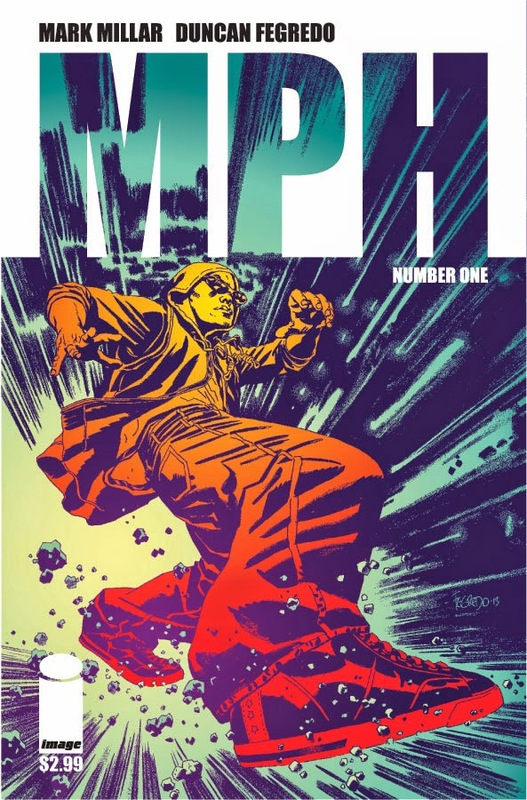 It's a little cliche to say that MPH #1 hits the ground running, but that's just what it does. The opening pages set the stage for what the drug is capable of doing and Millar pretty deftly weaves it into the present drug trade. Roscoe is genuinely trying to go legit and get out of his lifestyle, but he's got the misfortune of being at the wrong place at the wrong time. Roscoe's arc in the first issue is pretty fast (no pun intended), moving him through a rather quick maturation process once he makes certain realizations. 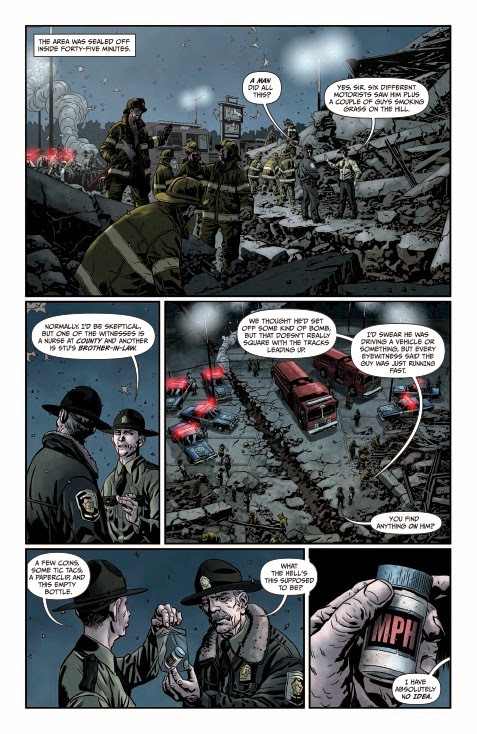 What's interesting is that Millar has both MPH and Roscoe converge at one point, which will move the story in one direction somewhat uniformly and easy to follow. As this is a book about people who can really fast, Fegredo does a pretty fantastic job illustrating that speed. 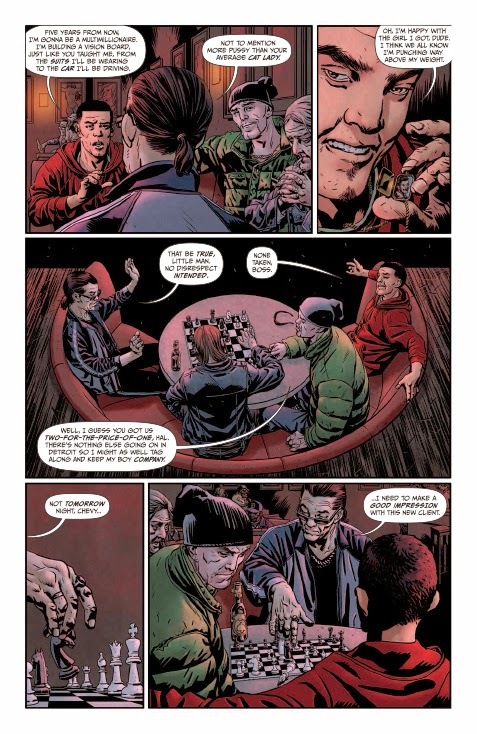 The first instance really gives the reader the full effect of what the drug is capable of through illustrating a character moving excessively fast. Later in the book though, that same speed is showcased in a contrasting way, with time stopped all around the user. Fegredo handles both scenarios very well and really impresses upon the reader the world that Roscoe lives in. That world is inhabited by all manner of individuals and Fegredo offers up pretty detailed backgrounds and characters rife with emotion. MPH #1 is extremely intriguing and kicks off with a bang. Roscoe is a man who wants to be good and live a life he chooses on his own terms, but the grander life seems to have different things in store for him. How he chooses to deal with his newfound knowledge remains to be seen, but Millar will definitely offer up a fascinating path for him. His script is very clean and sets things up quite nicely. Not only that, but Fegredo's illustrations are very effective and offer up a nice look at the burgeoning story. 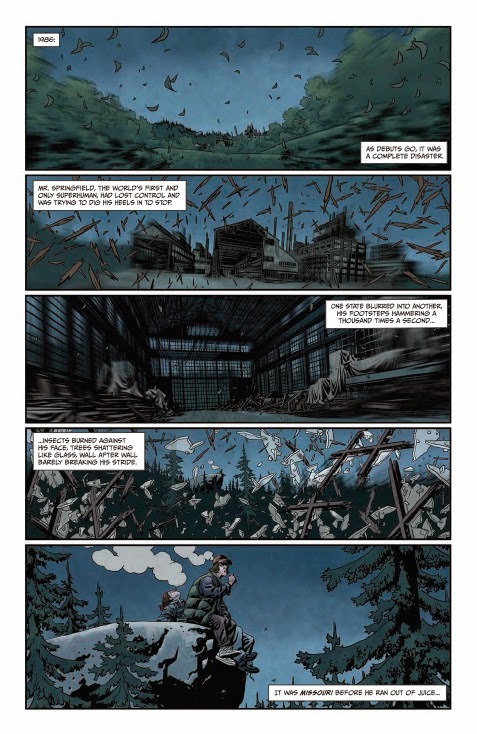 MPH #1 offers a pretty compelling premise and where the creative team takes it should be quite fascinating. 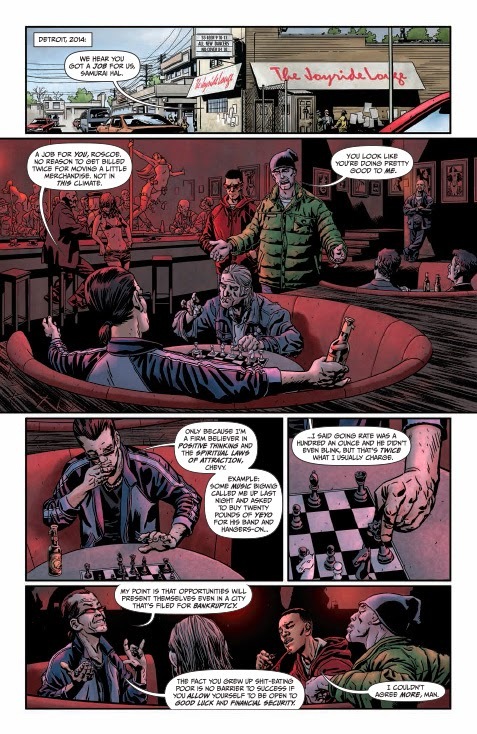 MPH #1 is in stores May 21 with interiors below.